The next generation of digital weight indicators. Advanced digital circuitry provides fast, stable and accurate readings, regardless of environment. The Lynx Scale Terminal is a high-performance, high quality industrial scale terminal. It combines sensitivity and fast response with an easy-to-use operator interface. The 800 powers up to 16 350-ohm load cells on one or two scale input channels. Each scale can be set up independently , giving you unlimited capacity flexibility to meet your specific operational requirements. For general purpose weighing needs at an economical price, especially in harsh or washdown environments, the Fairbanks H90-5150 is your best choice! The RD-300 and RD-232 Remote Displays are designed for rugged reliability and versatility in demanding industrial, chemical and agricultural weighing environments. Jaguars connect to more types of scales than any other scale instrument. 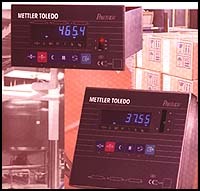 Jaguars support Metter Toledo's exclusive DigiTOL load cell and high precision scales. 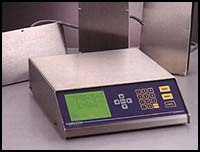 Designed for chemical, pharmaceutical, food and other process industries, Mettler Toledo's PANTHER Weighing Terminal provides basic weight indication, unit switching and data output. The 2500 Series instruments with Intalynxtm Technology offers you a comprehensive selection of completely programmable indicators designed to function in the most basic weighing operations or in very sophisticated data collection and management systems.